BPI Sports – CLA + Carnitine Weight Loss Formula FRUIT PUNCH – 10.58 oz. (300 g) BPI Sports CLA and Carnitine Weight Loss Formula is the ultimate, non-stim weight loss formula. With this powerful combination, you can now transform your body into a fat burning machine. CLA and Carnitine have both been clinically studied and shown to help burned stored body fat for fuel. Carnitine can also help improve strength, lean muscle growth and athletic performance. 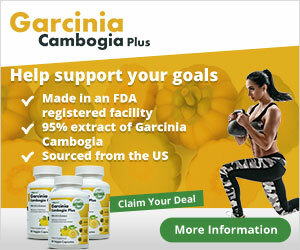 Reduce Body Fat Promote Lean Muscle Support Athletic Performance Non-Stim Weight Loss Formula CLA and L- Carnitine are two popular ingredients that have been clinically shown to help with weight management. CLA + Carnitine work synergistically to help burn stored body fat, converting it to energy. Weight Loss CLA aids in supporting lean muscle building, preserving lean muscle mass, and reducing body fat. Performance Carnitine helps burn stored fat for fuel, and may improve performance. Lean Muscle The weight loss formula is a non-stimulant powder that can be taken throughout the day or paired with a powerful fat burner to enhance its effects and speed up fat burning. CLA Plus Carnitine is sugar free and can be added to any pre-workout to enhance benefits.